Yunxian Tianan , Power Hotel offers accommodation in Yun. Free WiFi is available throughout the property. It is 40 minutes drive journey from Qingqu Long-distance Bus Station. For sightseeing, you can take 1 hour's drive journey from Yuxu Palace and 1.5 hours' drive journey from Wudang Mountain. Besides air conditioning and a flat-screen TV. Each room features a bathroom, for your comfort, you will find free toiletries, slippers, a hairdryer and a toilet. Extra with a shower and a desk. You will find a 24-hour front desk at the property. A variety of local shopping sites can be explored in a walking distance of the hotel. 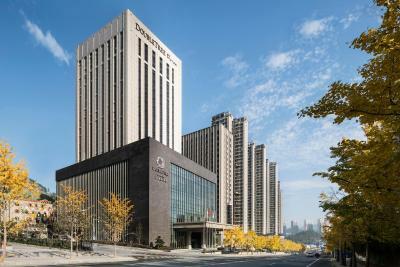 When would you like to stay at Yunxian Tianan , Power Hotel ? Besides air conditioning and a flat-screen TV. Each room features a bathroom, fitted with free toiletries, slippers, a hairdryer and a toilet. Extra with a shower and a desk. Each day we'll check prices and send you an email for your selected dates at Yunxian Tianan , Power Hotel. If you don't have specific dates but would like to check prices for say next weekend or say next month we can check the price too. Click to write a review and share your experience of Yunxian Tianan , Power Hotel with other travellers.